At some point or another, all of us has either experienced the anguish of a phone lost or stolen, or known someone who has. Well, seems that even tech celebs aren’t immune from having their handsets taken. 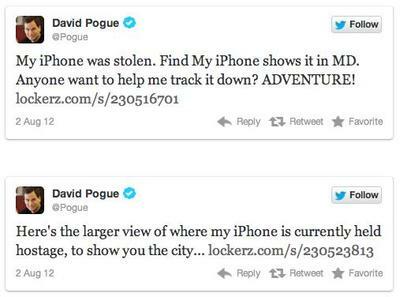 Last Monday, on a train ride back to New York from Philadelphia, New York Times technology columnist David Pogue discovered his iPhone was missing. He was upset at first (like any of us would be), but then sadness turned to intrigue when the phone, likely turned off for days, suddenly popped up via Find My iPhone yesterday. 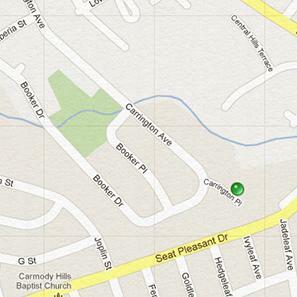 Not only could he see the Maryland neighborhood where his handset was, but he could even pinpoint the exact house. So what did he do next? 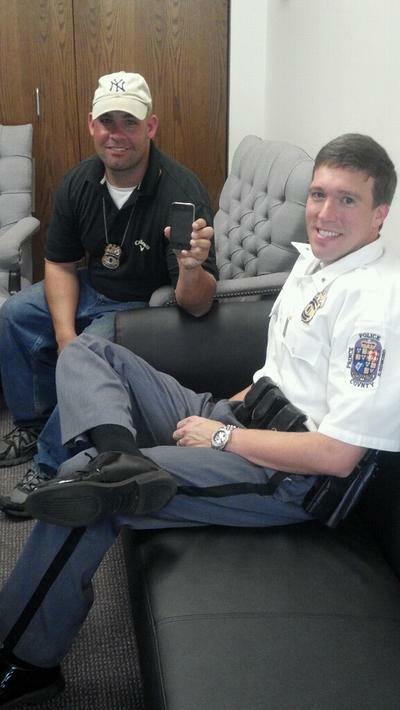 Well, in addition to contacting the Prince George’s County Police Department, he hit up the Twitterverse for support. Wouldn’t you know? 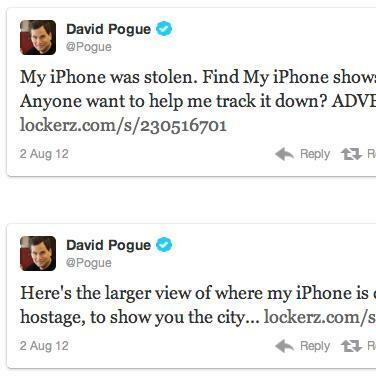 The #poguephoneseriousemergency escapade went viral. Pogue’s followers showed up in force, some warning about the general sketchiness of the area, others coming forward to directly help recover the phone — among them Gizmodo, along with the help of a local do-gooder/police officer/tech fan. Gizmodo posted street pics of the house and communicated with the authorities to try and help David out, while the “good samaritan” police officer (who happened to work in the area) volunteered to go to the location. The police searched the premises with Pogue on the phone, as he attempted to remotely trigger an audible alert from the device. No dice. After an hour+ of this, the phone went offline. But the search didn’t stop there. It continued outside the home and out into the yard, where it was ultimately found lying in the grass, safe and sound. Did someone sneak over to the device, turn it off and then chuck it out the window? Was it out there the whole time (but imprecisely geo-located inside the house) until the battery died? We may never know exactly what happened — and so far it’s unclear what, if anything, happened to the people found in possession of the phone — but at least we do know this smartphone tale got a happy ending. And amazingly, the entire adventure, from first tweet to recovery, took only five hours. I’ve said it before, and I’ll say it again: Never steal tech from the tech-savvy — unless you enjoy having your address posted all over the webs and your house searched by the cops.